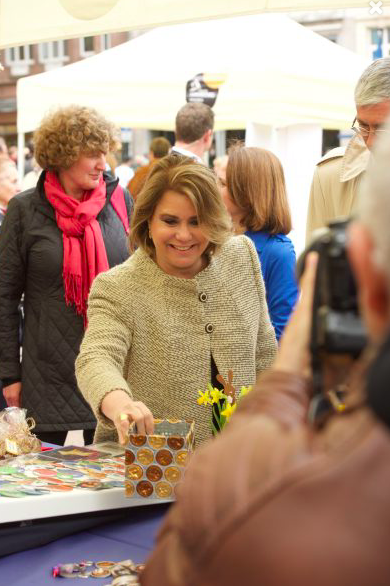 On the 1st, Grand Duchess Maria Teresa attended an event for Fondation Autisme Luxembourg, which has organized a weekend of activities to highlight autism in connection with World Autism Awareness Day on April 2nd. The event, held at the Place d'Armes, includes a range of exhibits for demonstrating social skills development in those with autism. The highlight of the day was the releasing of blue balloons (shown in the photos linked below).